Princess Charli is a very special girl. we managed to nurse her back to good health. Critique: She came into the ring and I couldn't take my eyes off her! with such a wicked expression. and she did that so very well. Smart with great drive and carriage. 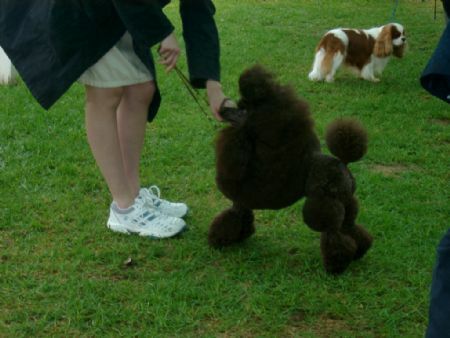 She was in great coat and beautifully presented in full lion trim. 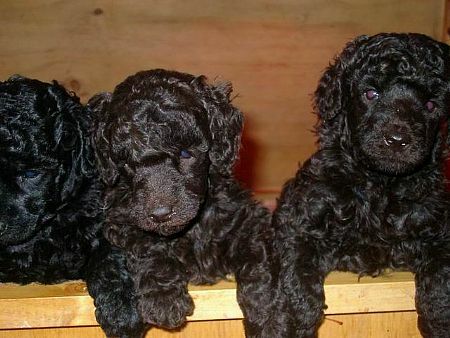 A truly great Miniature Poodle. 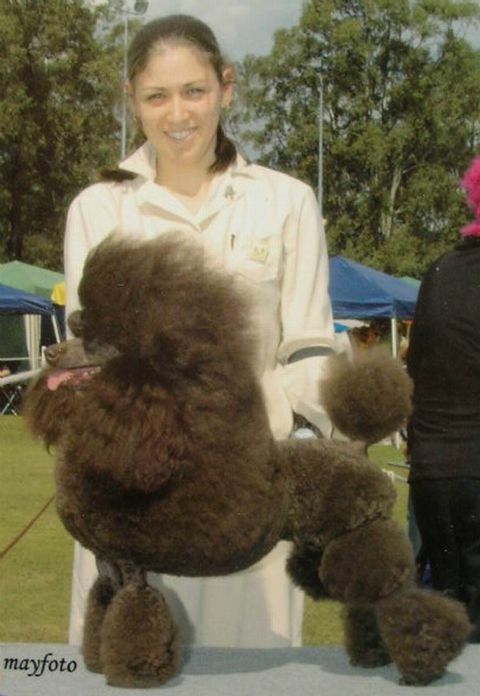 Mrs. Barbara Cherry (UK)(Shanandi Poodles ),with a record entry of 61 Miniature Poodles. lovely colour, well presented, very light free movement. and multiple Best In Group winner. Thank you to all of the highly esteemed judges that have awarded Charli her many wins. and to the late Mark Chapman for helping us save Charli's life. Charli, after winning Best in Group, waiting to be judged for Best in Show. Charli retired from the show ring 2008.
during her treatment and extended stays there. We treasure all the memories.